Remember in 2012 when Netflix let their contract with Starz lapse, causing dozens of great movies to disappear from the streaming service? A lot of people were upset at the time, but Netflix is taking steps to return some of what it lost. 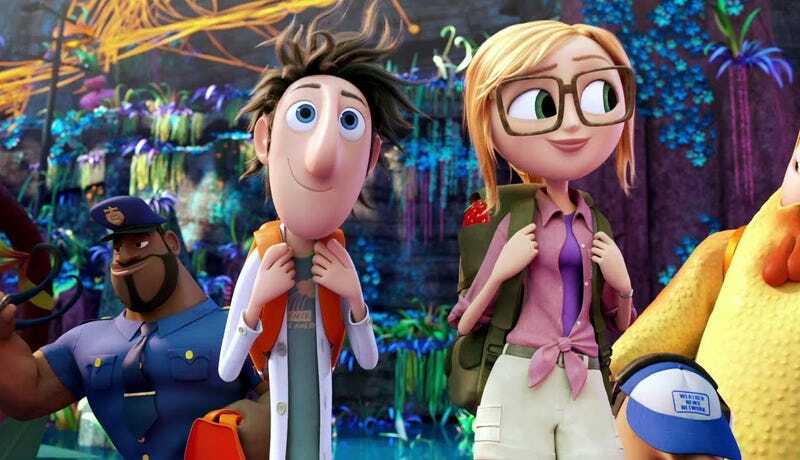 In a recently announced move, Netflix has signed a deal with Sony Pictures Animation to add their movies, like Cloudy With A Chance of Meatballs 2 and The Smurfs 2. Now, Sony Pictures Animations only really has one good movie (the original Cloudy With a Chance of Meatballs), but this decision is an important signal when combined with Netflix's past acquisitions of Disney, Dreamworks, and Pixar movie rights. While the three big studios were no-brainer decisions, Netflix probably didn't need Sony to stay competitive. So basically, this move shows their continuing desire to add animation studios to their stable of movie-providers, making Netflix a bottomless pit of entertainment for both adults and kids. All that's left is to snag up the rights to studios like Illumination (Despicable Me) and Blue Sky (Ice Age) and Netflix will have all the big names under their wing. From there, no animated movie will go un-streamed!